What are the dimensions that drive entrepreneurship? And how many of these traits are present in the general population? The ongoing search for answers to these questions raises a new one: Is it possible to develop a single set of measures that can evaluate the multiple drivers of entrepreneurship, from mindset to behaviour and belief, and apply these not only to South Africa, but to the entire world? The Allan Gray Orbis Foundation (Foundation), in conjunction with the Global Entrepreneurship Research Network (GERN) and Mindcette, an international organisation providing guidance and support for entrepreneurs, set out to find out if this can, indeed, be done. To this end, the Foundation commissioned African Response to undertake a survey, conducted amongst 3 661 randomly selected individuals representative of South African society, with questions crafted to uncover the DNA of successful entrepreneurs. Of course, this is not the first time that the concept of entrepreneurship has been probed. Given the important position that start-ups hold in our economy, it’s not surprising that several organisations have tried to distil the essence of entrepreneurship. 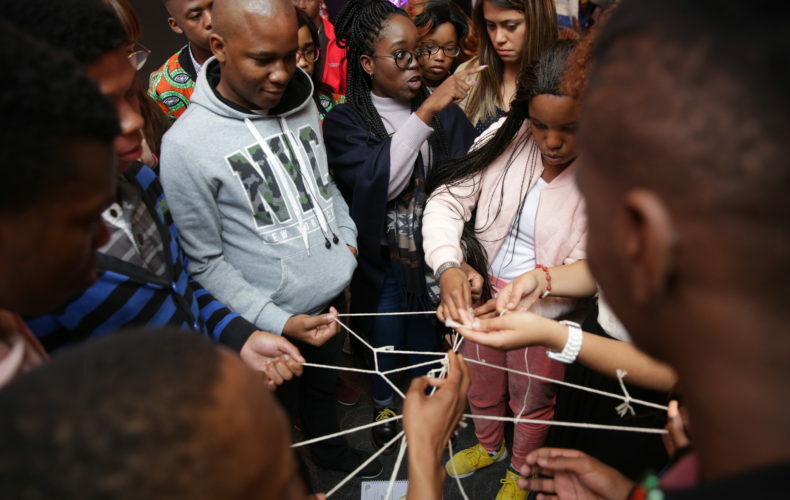 By delving into theory, it is able to provide more practical, workable programmes – and, in so doing, amplifies its credibility as an organisation dedicated to fostering entrepreneurship in South Africa. But back to the questions surrounding the concept of entrepreneurship and the arguments that have been put forward to explain it so far. Some theorists have focused on the fact that entrepreneurs who thrive seem to relish taking ownership and accountability for their own successes; they also have a greater degree of self-confidence and aren’t threatened by the thought of taking risks. On the other hand, some researchers have concentrated on motivational factors like the role played by the drive for achievement, entrepreneurial passion, or even the practical factors that might make an individual consider self-employment. The reality is that any – and all – of these might be significant, and in varying degrees – and that’s why the use of a single set of scales is so important. The Allan Gray Orbis Foundation therefore appointed a researcher to review all current literature, using this to extract the 11 most commonly occurring themes that appear to characterise entrepreneurship. Each of these themes can be further unpacked, to create 76 separate descriptors of characteristics – but, since many of these differ slightly, the researchers found that it was more appropriate to focus their questions around 37 critical descriptors. These ranged from the individual’s creativity and conscientiousness to whether they found it easy to be coached; from their resistance to conformity to their persistence and personal goals; their passion, resourcefulness, ability to accept risk, leadership ability, innovativeness, curiosity, emotional intelligence, financial goals, self-reliance and self-confidence. Put them altogether, and a picture emerges of a person who believes in themselves strongly – so strongly that they feel it’s not possible to fail. But, even if they do, they won’t be deterred. They’ll simply keep trying – either because they feel their product or service truly can make a difference in their customers’ lives, or because they want to prove to themselves that they can succeed. Of course, no single individual can possess all of these qualities; even if they did, the traits themselves would fluctuate according to circumstances. It’s possible to be brimming with self-confidence one day, and fearful the next. With this in mind, African Response created four categories of respondents: the omnibus survey, which was a nationally representative sample and a booster sample, where locations were chosen depending on how many business owners were present. Additionally, a separate sample comprising female business owners was included allowing research into gender differences, while the remaining survey respondents were made up of fellows of the Allan Gray Orbis Foundation. The content of the survey and the questions put to these participants were significant, because this is the first time that existing entrepreneurship literature was drawn upon in a nationally representative sample. So, what exactly did the survey find? Will it be possible to create a survey instrument that adequately describes the mindset of an entrepreneur? Signs are hopeful: according to the findings, there are 11 dimensions which may be used to commonly describe female entrepreneurs, and 10 that appear to characterise male entrepreneurs. Only two of these dimensions (Entrepreneurial Desire and Focus) are identical in male and female sample participants (with Allan Gray Fellows scoring higher in these dimensions), although seven additional dimensions are common to both, varying only in terms of the extent to which they characterised the sample members. These dimensions included Confidence, Diligence, Innovation, Leadership, Motives, Resilience and Self-Control. Among the male respondents, five of the ten dimensions distinguished those who reported being self-employed full time from those who did not. That is, Focus, Confidence, Leadership, Resilience, and Self-Control. This contrasted the findings for female respondents, for whom only Desire and Focus showed differences between the self-employed and other respondents. The survey also found that the nine core dimensions were statistically reliable, while several showed significant differences when the respondents were self-employed on a full-time basis, or if they were not self-employed. What does this all mean for would-be entrepreneurs? Obviously, the ultimate goal is to identify the traits shared by entrepreneurs, thus providing a basis for describing the entrepreneurial mindset, and to create a single instrument that can be used to identify and measure the presence of these traits would be an enormous help in this regard. Furthermore, some of the differences obtained between women and men could inform modifications in entrepreneurship programme structure, in order to tailor entrepreneurial training more closely to the individual strengths of both sexes. This survey brings stakeholders one step closer to achieving this goal – but there is a caveat: according to Mindcette, the results of the survey will be most useful if the study is repeated in the future, as this will determine whether the national mindset is changing. Added to this, it would be beneficial if the survey was adopted by other countries, so that an international benchmark can be established. It is also recommended that participants in the Allan Gray Orbis Foundation’s entrepreneurial development programmes are assessed when they exit the programme, to gain further insight into their mindsets. The Allan Gray Orbis Foundation will further use the information gathered from these assessments to determine whether there are differences in the beliefs and drives of male and female entrepreneurs and will structure future programmes accordingly. Of course, the information contained therein will prove useful for other organisations operating in the entrepreneurial space, too. Entrepreneurship is a dynamic and exciting field, but the risks associated with self-employment are very real. Every tool available to entrepreneurs as they pursue success brings them one step closer to achieving their dreams – and that’s what makes this survey such a vital undertaking.